Alpha provides satisfying and healthy plant-based foods that happen to make the planet more sustainable and its people healthier - from the inveterate carnivore to the die-hard vegan. Beyond Meat is planting The Future of Protein. We bypass the animal altogether and make delicious and nutritious products like chicken strips, burgers, and beef crumbles directly from plants. Our products enable families to continue to eat what they love—like beef nachos, chili, pasta Bolognese, and chicken fajitas—without the health and other downsides of animal protein. Good Catch makes 100% plant based shelf-stable and frozen seafood. The recipes were inspired by world renowned plant-based chefs Derek and Chad Sarno. We offer seafood lovers the best of both worlds: delicious seafood alternative products which deliver on taste, texture and nutrition, while having little impact on the planet or its fragile ecosystems. New Zealand-based Sunfed Meats are made from pea protein, they cook, feel and taste just like animal meat but are healthier, both for you and the planet. Replacing traditional dairy one product at a time. Kite Hill makes the very best tasting alternative dairy products with the simplest ingredients using traditional methods, including buttery fresh ricotta, aged nut milk cheeses, creamy almond milk yogurt, and fantastic entrées and desserts— all out of fresh nut milk. Because no matter how you slice it, plant-based diets are gentler on the earth, kind to animals, and better for your body. New Wave Foods is a leader in truly sustainable seafood: a plant-based seafood that is healthier and better for the environment. New Wave products are high in clean nutrients and deliver a culinary experience consumers expect, while completely eliminating the devastating environmental impact of commercial fishing. Abbots Butcher crafts premium plant-based meats from whole foods ingredients that allow everyone to indulge in their favorite dishes. Ocean Hugger Foods offers healthy, delicious and sustainable plant-based alternatives to your favorite seafood dishes. Created by one of America's top chefs, Certified Master Chef James Corwell, the company’s breakout product is Ahimi, the World's First Plant-Based Alternative to Raw Tuna. Purple Carrot is the first plant-based meal kit delivery service on a mission to establish the New American Diet – one that is honest, healthy and humane. NextFoods specializes in importing innovative and market-leading plant based products for retail and foodservice markets into Europe, including promising brands such as Gardein, Tofurky, Daiya Foods, Hilary's and Coconut Bliss. MosaMeat is a Netherlands based company that will help accelerate the transition from traditional farming to cellular farming. Using tissue engineering technology, we will develop a true alternative for one of the most emotional elements of our diet: meat. Lighter is a powerful tool that helps the world eat better. We show our members what food to buy and how to throw great meals together, based on the recommendations of food leaders. Miyoko's Kitchen is a proven leader in innovative plant-based food products. Founded in 2014, the company set out to redefine the dairy category with its line-up of award-winning vegan cheese and butter. Sold in thousands of stores across the country, the Miyoko's brand has garnered loyalty, excitement, and passion. Memphis Meats develops cutting-edge technology to produce real meat without the animals, by farming animal cells instead of animals. We then prepare the meat with recipes perfected over a half-century by award-winning chefs. The result is real meat that is better for the body and the planet. Good Dot is bringing plant-based proteins to India. Our products give you the protein and taste of meat at an affordable price but provide a healthier and cruelty-free option. We manufacture products in India, for India, by India. Geltor creates safe, sustainable, and animal-free high-performance materials such as gelatin, for use in food, beverage, pharmaceutical and cosmetic products. Outstanding Foods was founded to create the best tasting plant-based foods on the planet that you’ll absolutely love. We keep it real with pure, wholesome ingredients – NOTHING artificial or derived from animals - all prepared for you by world-renowned chef Dave Anderson. Blue Nalu's mission is to be the global leader in cellular aquaculture, providing consumers with great tasting, healthy, safe and trusted seafood products that support the sustainability and diversity of our oceans. Fora Foods are the makers of FabaButter, made using aqua faba from chickpeas. FabaButter is the first ever Michelin-star chef approved dairy-free butter. NUMU is a brand new vegan mozzarella for pizza makers. NUMU is designed to be the best tasting and textured cheese for pizza, lasagnas and more. At Aleph Farms, we believe meat is one of life’s pleasures, to be celebrated and enjoyed without the downsides to health and the environment. Aleph Farms aims to offer superior, healthier, clean beef meat, providing a new customer experience. 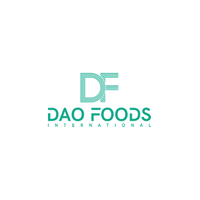 Dao Foods International, Inc. has launched to meet China's rising demand for meat and other protein food products with animal-free alternatives. Benji’s line of gourmet vegan Mexican products include traditional ingredients such as sausages and ham, and snacks like fried pork rinds. Benji is headquartered in Queretaro, Mexico.